These days, Power banks are already a staple in just about everyone’s bag. From the one who casually roams around the city to take photos, to the gamer who’s glued to the screen for hours on end. It has become an intangible tool for a digital lifestyle. As such, companies are still trying to innovate with these things. Making them slimmer, packing more juice, and carrying more features than ever before. 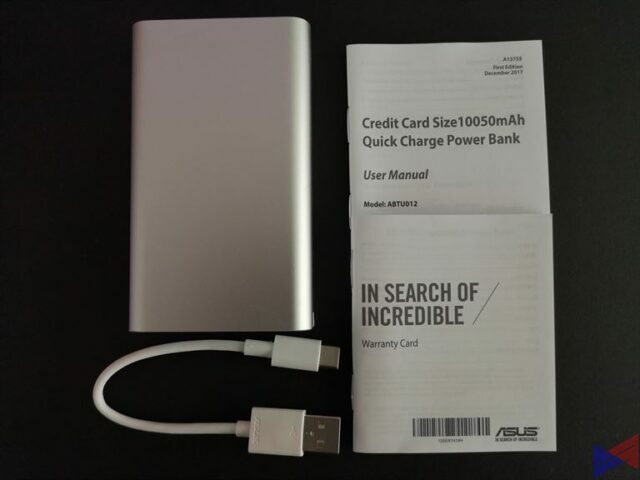 The ASUS ZenPower 10050C QC 3.0 is a perfect example of such. As the name implies, the new version now has a USB Type-C port, and features Qualcomm’s Quick Charge 3.0 technology, which means compatible devices should charge significantly faster than before. ASUS sticks to a minimal packaging here. With only a small box which contains the unit, a Warranty Card, a User Manual, and a Type-C cable. Unlike the previous version, it doesn’t come with a sleeve. Not exactly a deal breaker, but would’ve been nice. The Type-C/QC 3.0 version isn’t really different from the previous one in terms of design. You get a bar shaped power bank with rounded edges, wrapped in a metal case. It’s also just as thick as the previous version, which means it should fit most pockets. In terms of ports, you still get two of them, only now, one is Quick Charge 3.0 compatible. You still have the button which, in a single press, can be used to check the amount of charge remaining on the power bank, there are also the familiar indicator lights, and an extra light for needed illumination. The standard microUSB port has now been replaced by a reversible Type-C port. Since it’s reversible, you don’t have to worry about breaking the end of that cable when trying to connect it. It also provides future-proofing, as more and more companies are transitioning to the standard. If there’s anything I can complain about, it’s probably the supplied Type-C cable, which I find to be a bit too short. 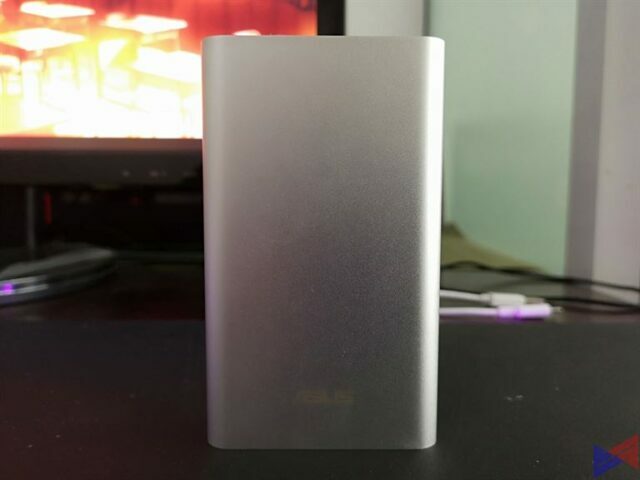 Of course, you don’t buy a power bank just because it’s compact. You buy it because it’s supposed to charge as many devices, as fast as possible, and as many times as possible. On that regard, the ZenPower 10050C QC 3.0 doesn’t disappoint. Using the Quick Charge 3.0 port, Charging the Zenfone 5 from zero to full took slightly less than 2 hours. On the other hand, charging the power bank from almost empty to full takes around 4 hours. 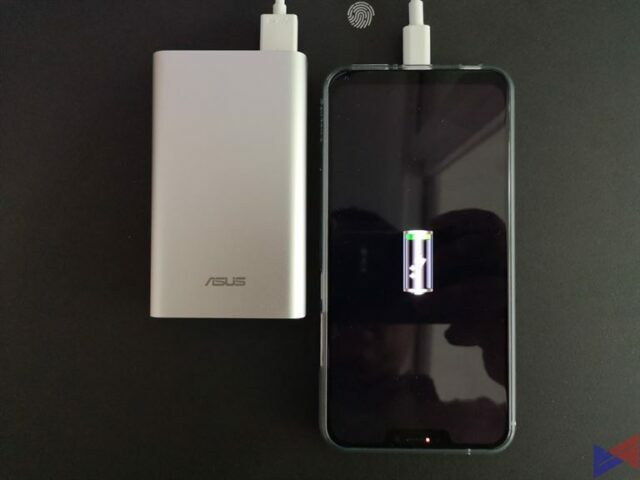 After a full charge, there’s still 2 dots lit on the power bank, which means, you can probably charge the Zenfone 5 to full at least twice before it runs out of juice. The ZenPower 10050C QC 3.0 offers a number of improvements over the previous version, without any compromise to its pocket-friendly design. 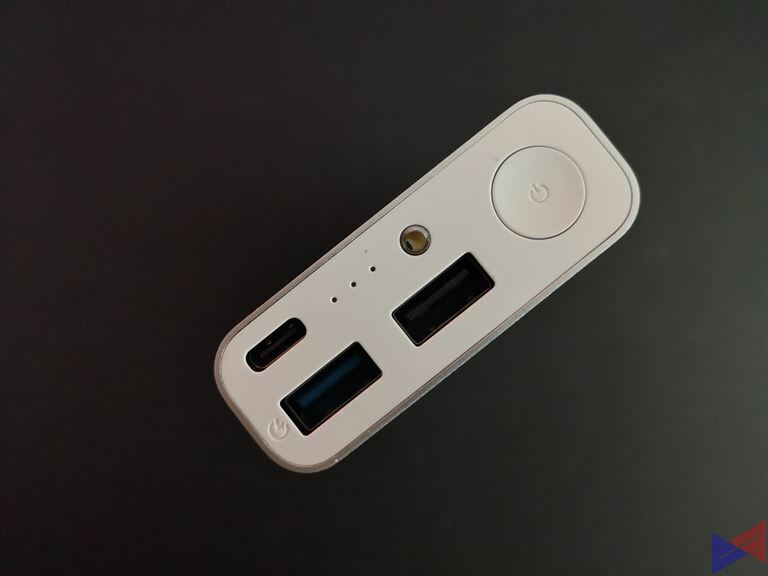 The new Quick Charge 3.0 port works well for compatible devices, and the Type-C port is a step forward offering more flexibility with the devices that you can charge. It also provides a sort of future-proofing, as more and more devices continue to adopt the standard. For its PhP1,795 price tag, this is a power bank that offers good value, especially if you have a Quick Charge 3.0 compatible device.